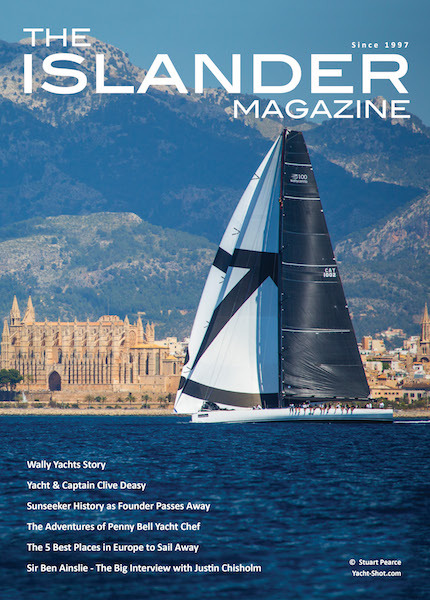 With a lifelong career in blue water cruising, rising through the Sunsail ranks from novice mechanic to resort manager, followed by operations manager for its new owner TUI, and then seven years as MD of Southampton-based Discovery Yachts, Nigel sidestepped into Spirit Yachts in 2014 and witnessed the company sail into its 25th anniversary year in 2018. Lifelong sailor Sean studied a Fine Art degree then spent a wild adventurous youth travelling round the world delivering yachts. He undertook crazy weeks-long crossings cruising at three knots in old boats, amassing a wealth of campfire stories along the way. 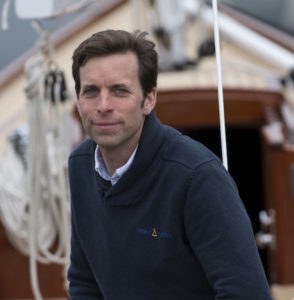 Once settled back in England, Sean started building classic-style boats under the name McMillan Yachts but, when recession hit in the early 90s, the bank withdrew funding and Sean lost both his business and his house. Tenacious Sean didn’t give up. 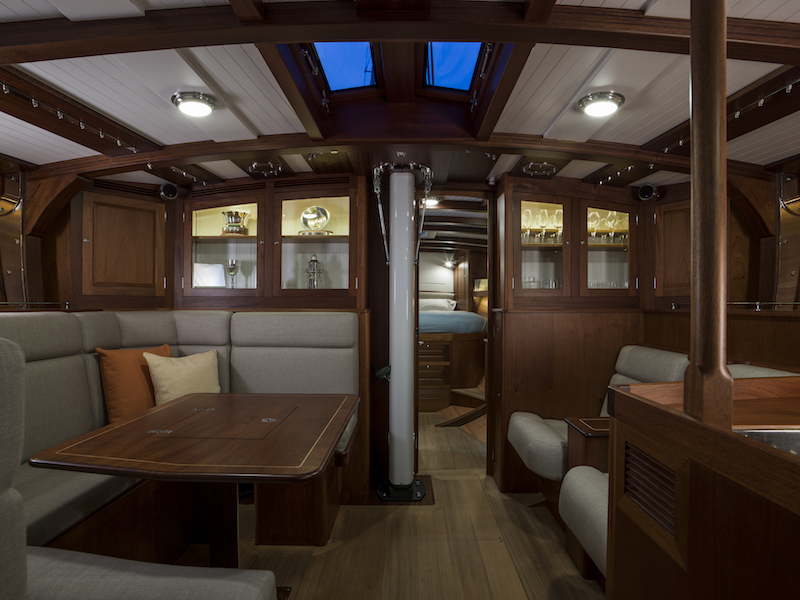 In 1992, he was back on his feet and teamed up with partner Mick Newman to create a range of thoroughly contemporary yachts in terms of performance, but with all the elegance of the 1920s and 1930s. They would have long overhangs, low profiles and smooth lines. “Why do all modern yachts have to be fat, white and plastic?” asked Mick. Fortuitously, Mick had access to a derelict farm shed 25 miles north of Ipswich and together they set to work. 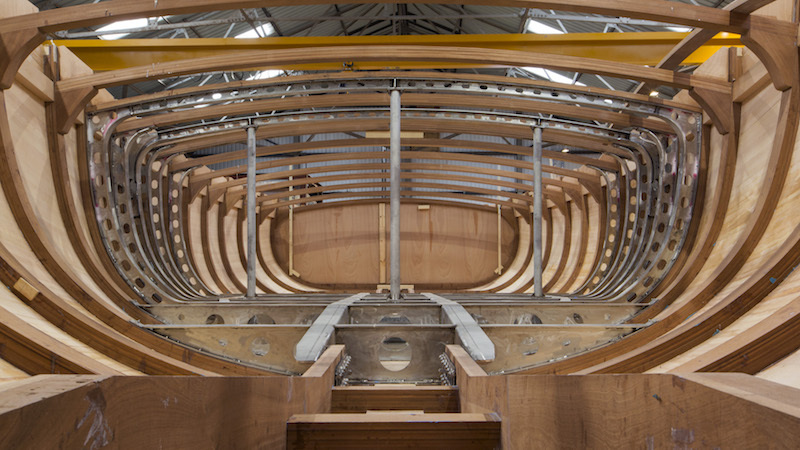 Sean kept talking about this beautiful boat he dreamt of building – long, thin, easily-driven, rakish and supremely elegant – and one day he called up and said he wasn’t coming to work but would instead stay home and commit his vision to paper. The first Spirit yacht, the Spirit 37, was launched in 1993. Two were immediately sold and there followed a series of made-to-order boats crafted by the talented ‘two men in a shed’. When the industry and hubbub started to outgrow the chilly farm shed, the police politely suggested a new premises was found and in 2004 they moved to Spirit Yachts’ current warm, dry location in Ipswich Haven Marina – a facility that was almost doubled in size in 2016 in order to cope with demand. 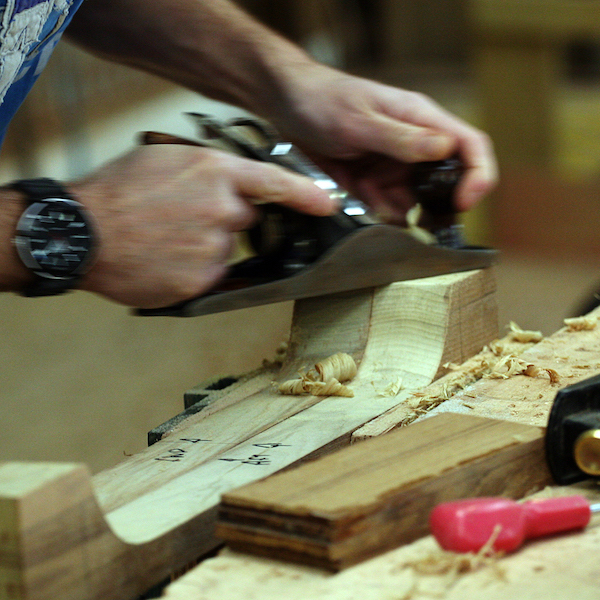 Wood is at the heart of every Spirit. 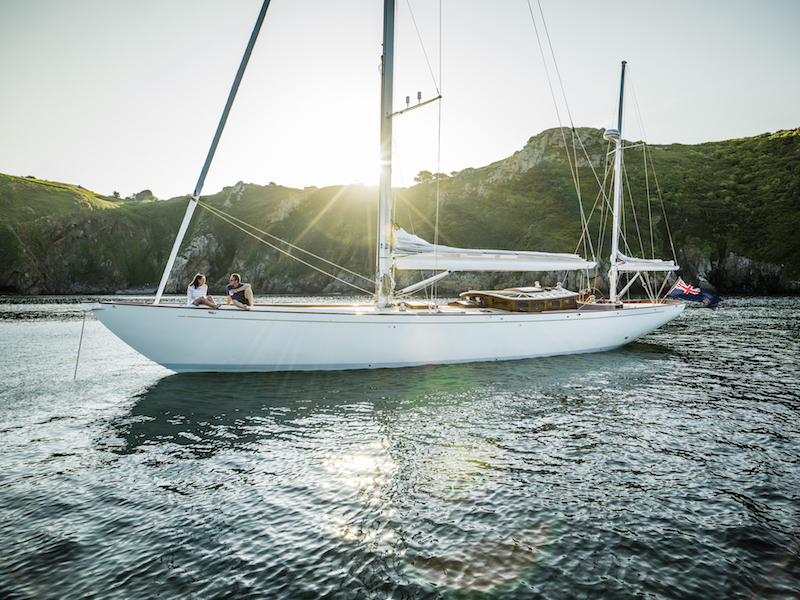 It’s the only natural, sustainable boat-building material that offers beauty, durability and a favourable strength-to-weight ratio. 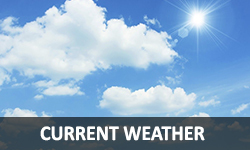 It can be easily shaped and formed and moves with changes in heat and moisture without breaking. Wood withstands the elements and provides excellent sound and thermal insulation. It’s also very beautiful and the yachts are designed to be just as beautiful in 100 years as they are today. 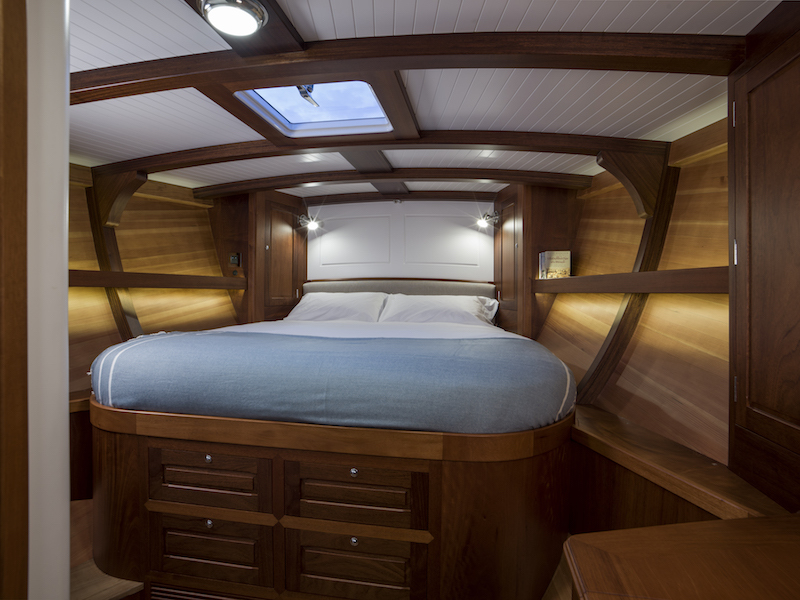 But Spirit Yachts is not just in the pursuit of making things look pretty. The mast, sail set-up and everything below the waterline is made for racing. 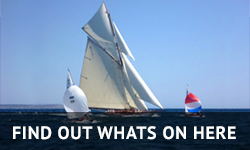 Boats are extremely lightweight, on a par with carbon fibre, and very fast, earning Spirit Yachts success in classic regattas across the globe. Take the Spirit 52 for example. Flight of Ufford was designed by Sean in 2005, specifically for himself and his family. 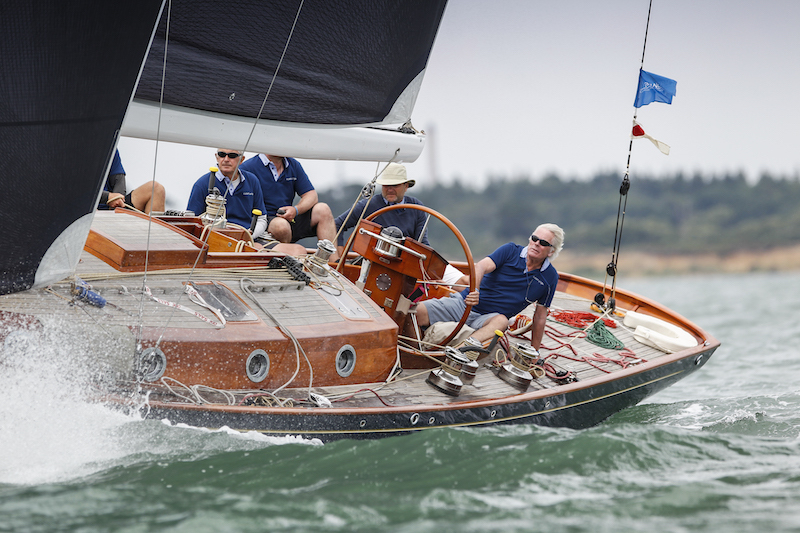 It has enjoyed many successive years of competitive racing, claiming plenty of trophies, including first place in Class 1 and Yacht of the Regatta at this year’s Panerai British Classic Week. “This is the best regatta I have ever raced in my entire life,” said Sean at the time. 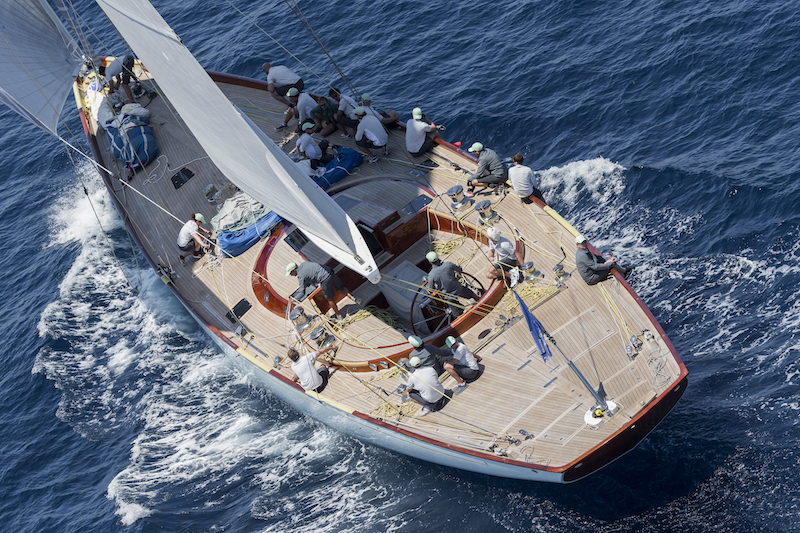 To provide the cherry on the cake, Spirit 52 Oui Fling came second in Class 1. 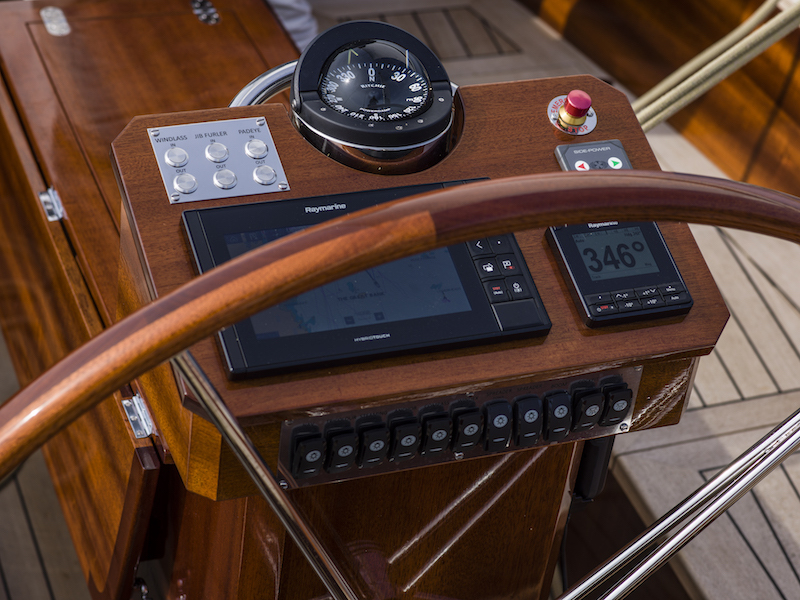 The flush-deck out-and-out racer was only launched in June 2017 and did one better at last year’s Panerai by winning Class 1. 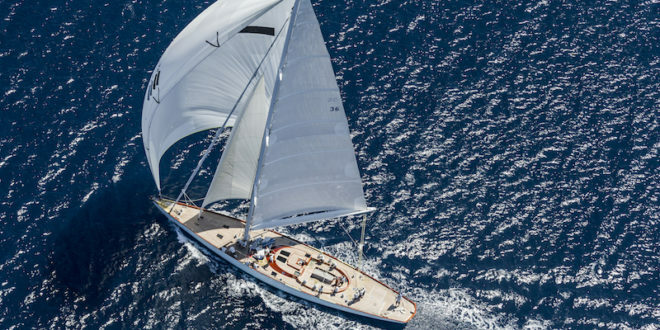 The British owner had only sailed her for one week, so Spirit Yachts got it exactly right. 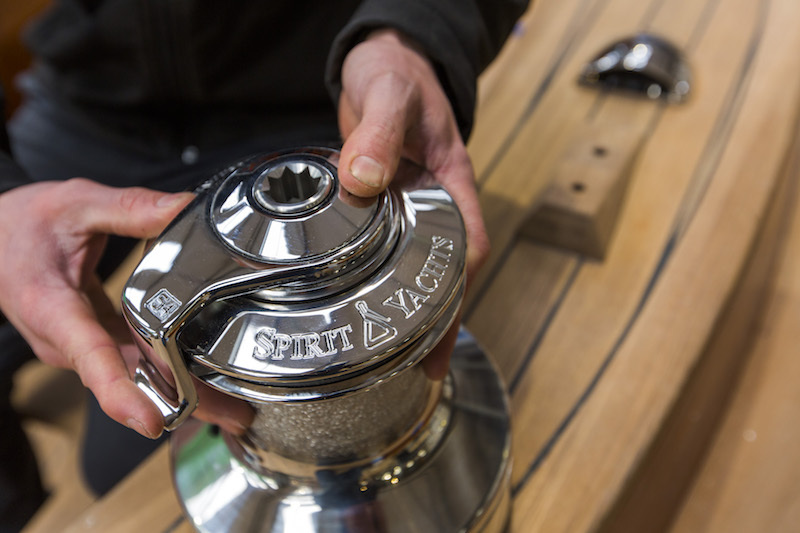 The art of craft is undoubtedly alive and kicking at Spirit Yachts. Finishers, joiners, cabinet makers and carpenters all reach for hand tools to complete their tasks. There is not a mould to be seen. 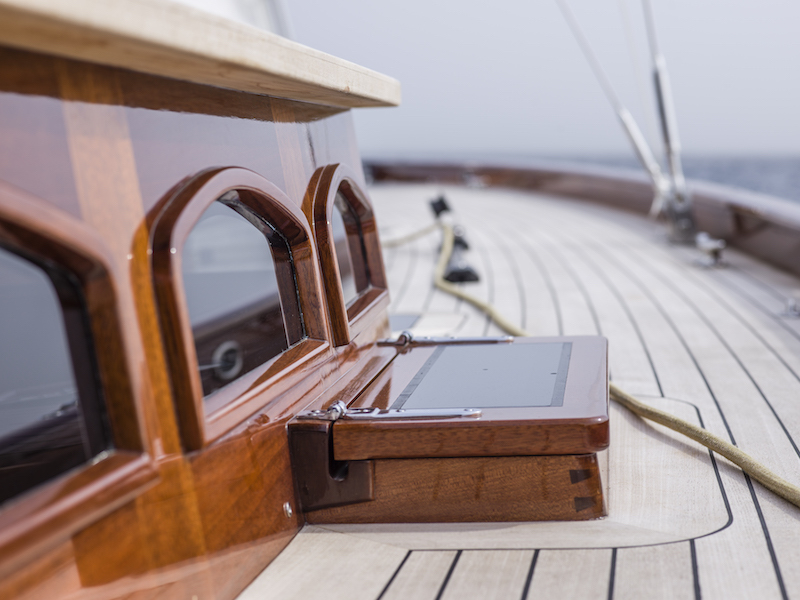 A little computer-controlled machinery is used to make patterns, but so little in fact that Spirit Yachts outsource it to a subcontractor. Surely it’s hard to find such traditional talent in this techno age? Price-wise, a Spirit Yacht is quite expensive at the smaller end of the size-length spectrum due to the lack of moulds and automation, but above 60ft they become very price-competitive and fall in the same ballpark as perhaps a Wally, Oyster or Swan – albeit wrapped up in a lovely wooden package. 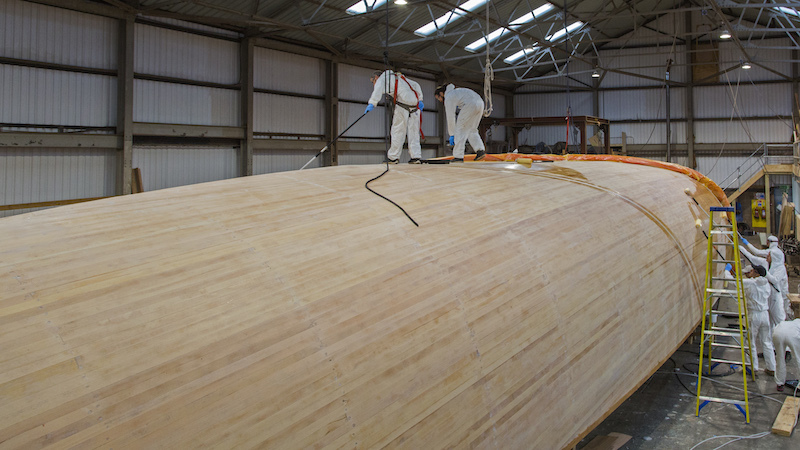 Aside from the obvious, that a wooden boat can be dismantled and safely disposed of in any number of ways from firewood to sawdust, Spirit Yachts is always looking at a more eco way of working.